Dieting is rapidly becoming a regular part of our culture, because everyone wants to have the perfect body. However, many people forget that the easiest way to drop those undesired pounds is to follow a regular, healthy diet, because our bodies naturally possess everything we need to stay in top shape. Eating a nutritionally balanced diet makes people feel better because it maintains our digestive organs so that they can perform to their best ability, much like a well-attended machine. The gallbladder, for example, stores bile from the liver and releases it into the small intestine. This naturally produced alkaline fluid is critical to the emulsification of ingested fats, and subsequently important to not gaining as much weight from what we eat. Therefore, keeping our gallbladder and liver healthy is critical to weight loss. The best way to do this is to exercise regularly, and eat healthy; consume less high-cholesterol foods, and more fresh, high-fiber foods like: broccoli, leafy greens, apples, asparagus, berries, and legumes. Another important reason to keep an eye on these organs is because a failure to do so can result in gallstones, even after gallbladder removal. Crystalized chunks of bile, roughly 80% of gallstones are made of cholesterol that range in size from a grain of sand to a golf ball, according to Harvard Health Publications. A buildup of gallstones can block the bile duct between the liver/gallbladder and the rest of your digestive tract, causing severe pain. Several studies have also shown to connect them to negative health conditions like acid reflux or lung and kidney problems. Avoid crash diets, or diets that are very low in calories. The National Institute of Diabetes and Digestive Kidney Diseases states that rapid weight loss puts a strain on your body, and also has been shown to be overall less effective than gradual weight loss. Perform a gallbladder/liver flush. 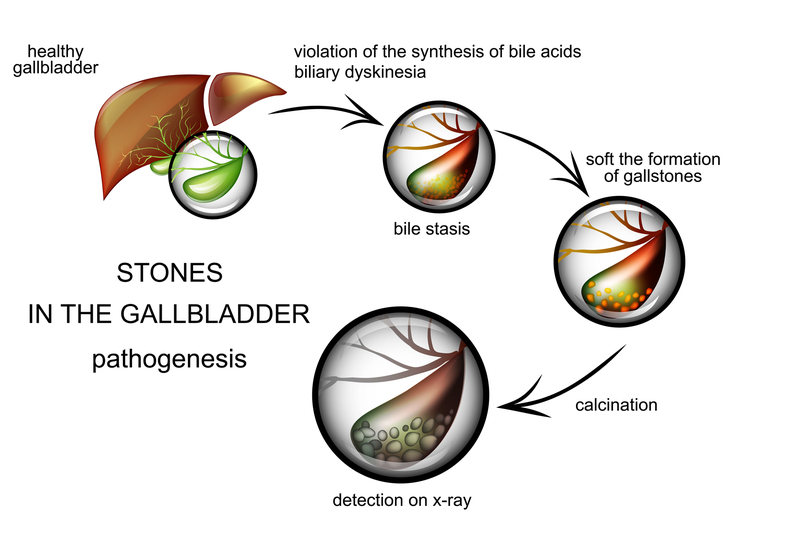 This can help you get any potential gallstones out of your system. If you are interested, feel free to check out these instructions, written by Physician’s Standard’s founder, Keith Morey. If you have any questions, or would like to speak to us at Physician’s Standard on how to proceed with living a cleaner, more fulfilling lifestyle, contact us here or call (949)407-8822.